Origami Intersections taught by Chicago artist Jerry Marciniak at paper and Book Intensive held at OxBow outside Saugatuck, Michigan in May 2009. 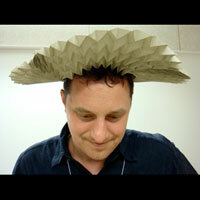 Origami goes back to the invention of paper. Music is Sounds of the Dawn by Alexandre Falcao.